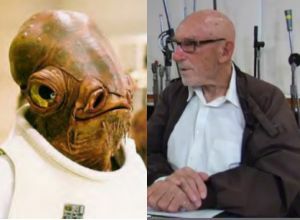 World famous voice actor Erik Bauersfeld was interviewed about his role as Admiral Ackbar in Return of the Jedi for SF Gate. And yes, he does say, "It's a trap!" And it's just as awesome as ever. What was it like seeing the man behind the trap?